Unlimited Blowout Monthly Memberships - Truly an unlimited blow dry/out hair styling monthly membership program, that we offers our clientele. Unlimited blowout hair appointments for the next 30 days! Wash is included! 365 days of unlimited wash & blow dry/out hair styling services. 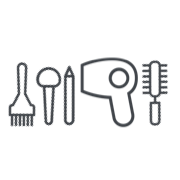 Unlimited wash & blow-dry appointments at any oneblowdrybar location.